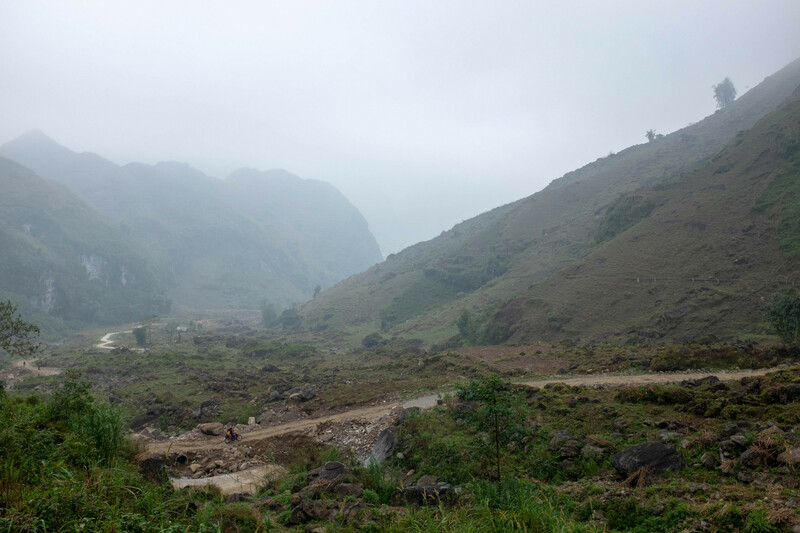 The adventure in the mountains of Vietnam continues with misty mountain roads, trucks hurtling through small villages and hours of riding high in the clouds. 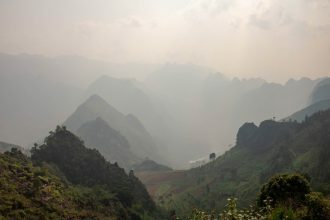 Starting in Hanoi (see part one here), we drove north to Ha Giang to spend seven days on motorcycles in the mountains. 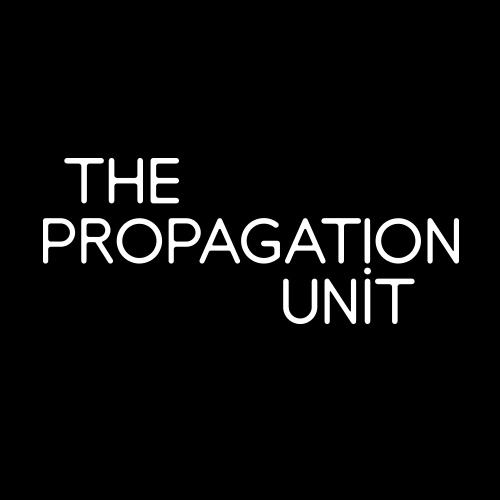 The first three days can be seen here followed by the next three here. This is the story of our last day on the bikes with lessons learnt along the way. 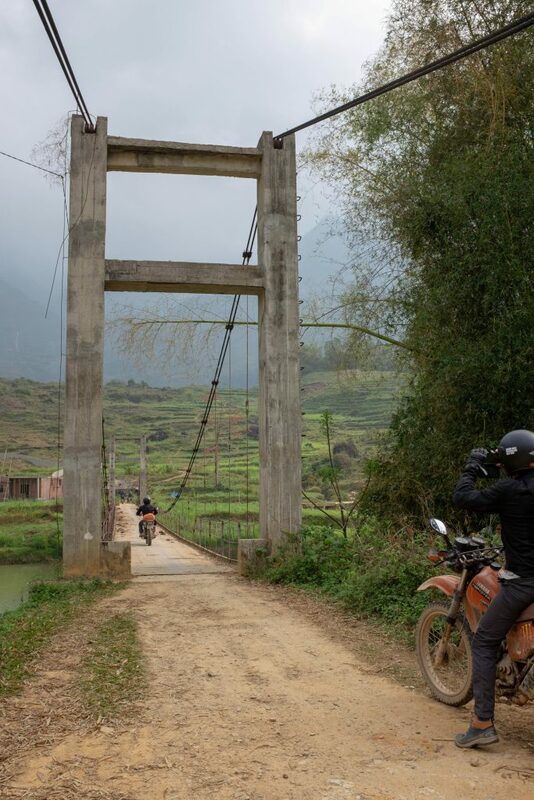 Our final day comprised 150 kilometres of riding back to the original homestay near Ha Giang. On Australian roads, this would be ninety minutes and back before lunch. In Northern Vietnam with its rough terrain, this took the better part of a full day. 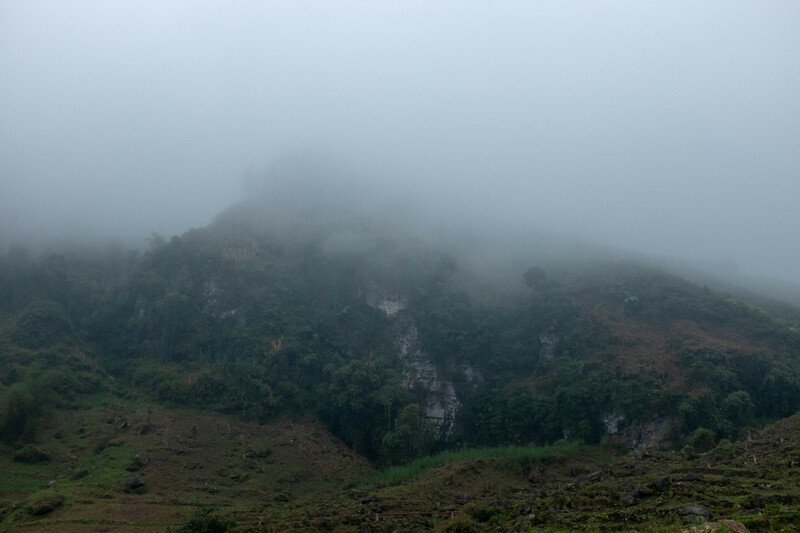 Weatherwise, it was a very different kind of day from the rest of the trip, with cold seeping in through our jackets as we made our way higher into the mountains. As we climbed, literally into the clouds, visibility reduced to around five metres with riders on scooters coming the other way emerging from the mist before being swallowed up again by the clouds. Down the other side, the roads became extremely rocky as families navigate their way on scooters to the village market below. 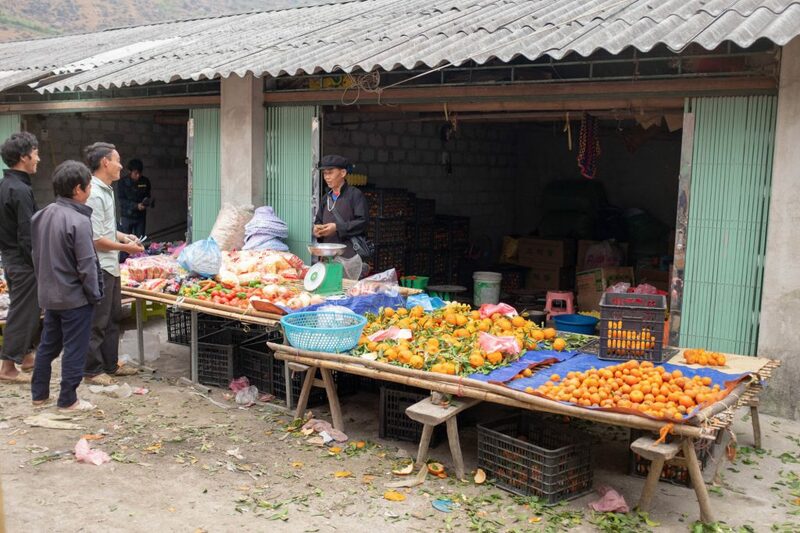 There was a colour and vibrancy to the village market as people went about their business, buying the provisions and meeting up with friends. In the mountain regions, we witnessed the various ethnic groups wearing traditional, colourful clothing. The men typically wore black tunics with patterned borders while the women wore brightly coloured clothes comprising many layers that change depending upon the ethnicity of the group. It is quite different from the cities where western-style clothing has become the norm. 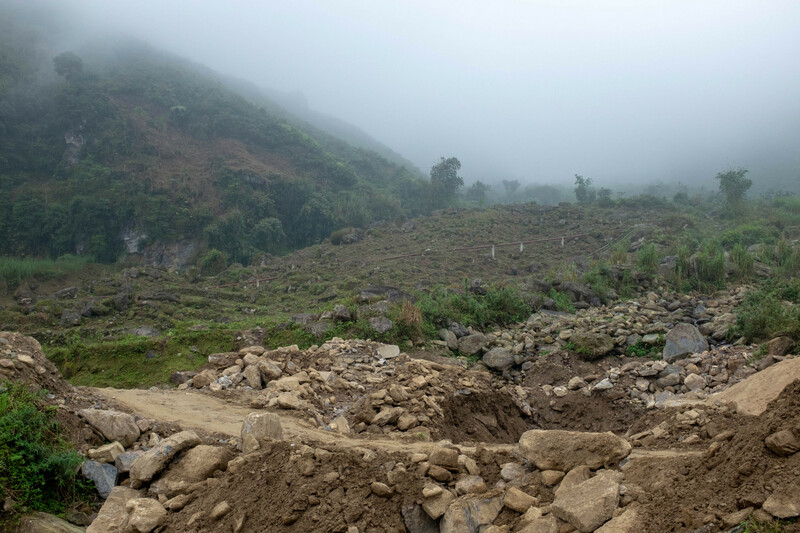 After navigating the rocky paths, the next section was fast, demanding concentration as the road fell away steeply to the valley floor below. This was a fun section with many twists and turns, contrasting sharply with the rocky obstacles of the previous hour. 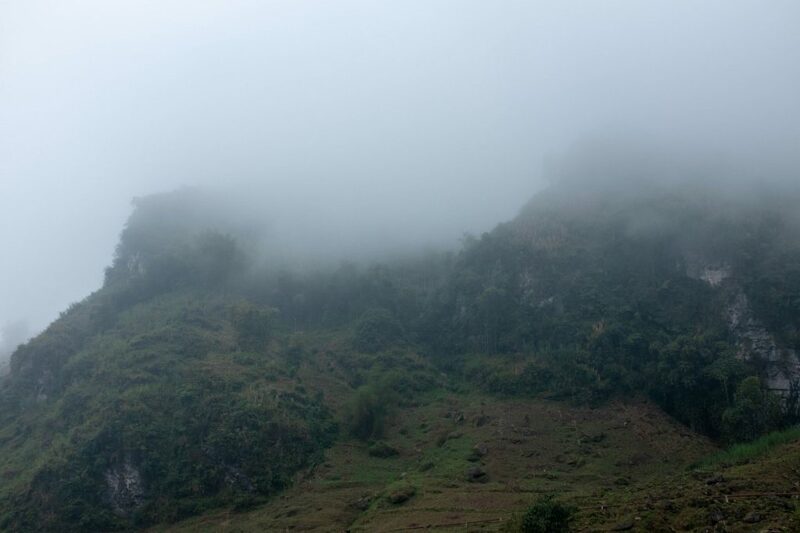 We then rode up once again into the clouds, stopping for more repairs as one of the bikes lost its chain. While stationary, it was ever so peaceful in the clouds as we undertook repairs. Then it was down a gravel road with enormous potholes before stopping for coffee at a cafe in town. While waiting for the coffee to brew, we watched trucks tear through the streets with a blast of their horns warning all to get out of the way. Our guide warned us to be wary of truck drivers in the mountains ahead as they come around the narrow corners at high speed. 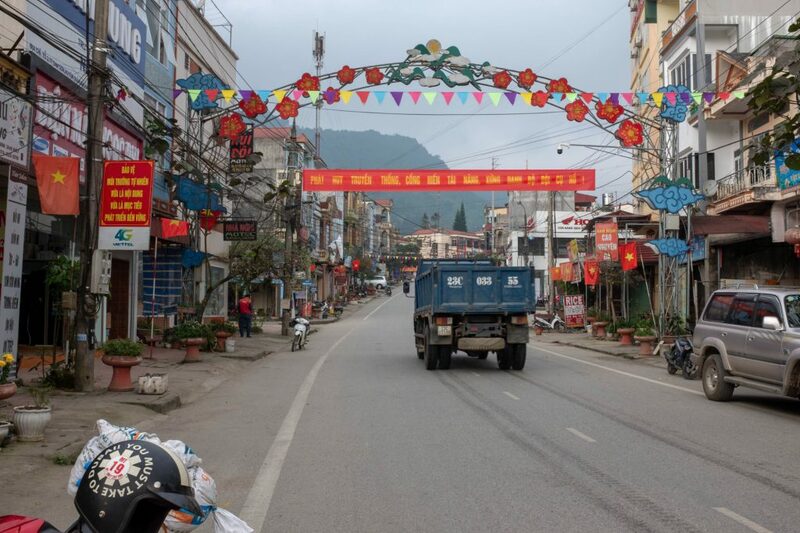 The next hour was spent dodging trucks in the rain as we made our way back to the homestay for a final dinner. 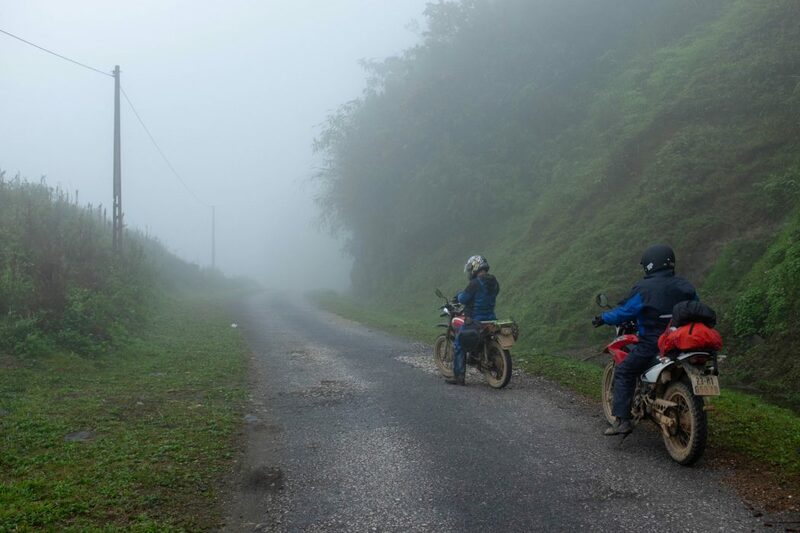 The road was extremely rough, bouncing our motorcycles all over the place before finally rejoining the tarmac. 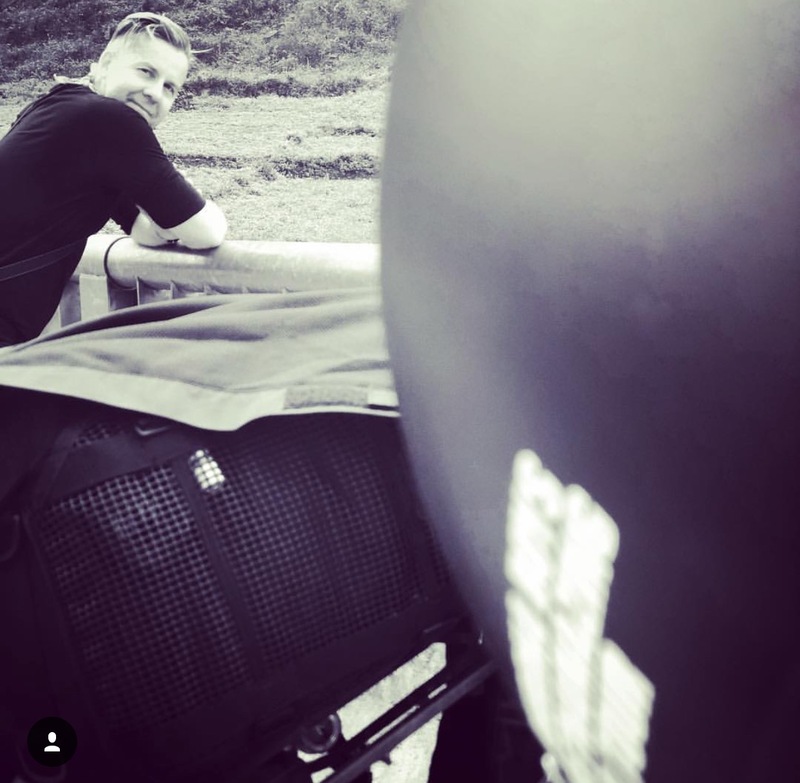 As we took a break by the side of the road, I reflected on what a great motorcycle adventure this had been, filled with magnificent vistas, friendly people and challenging roads. An adventure like this gives you time to think. 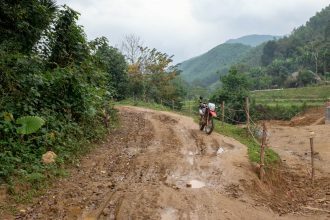 Here are my takeaways from one week on an old motorcycle in Vietnam. You do not need all the ‘right’ gear to have an adventure. Go with what you have. Too often we delay things because we feel we do not have the right tools/motorcycle/gear. Riding in Vietnam opens your eyes to where you can go on a small motorcycle. To my surprise, I like off-road motorcycling. What only one month ago I would have thought as impassable is just another road to be navigated. Roads are there to be shared. In Vietnam, the road is used by everyone from trucks to scooters to pedestrians to water buffaloes. There is relatively little angst when a truck comes at you on the other side of the road as this happens all the time. You simply move to the shoulder and let them pass. No stress. Once you’re used to it. You can still remain stylish and well groomed even in the mud. When you travel, you’re a representative of your nation. Make a good impression through your attire and manners. You can get by with a very small pack and happily travel for over a week. 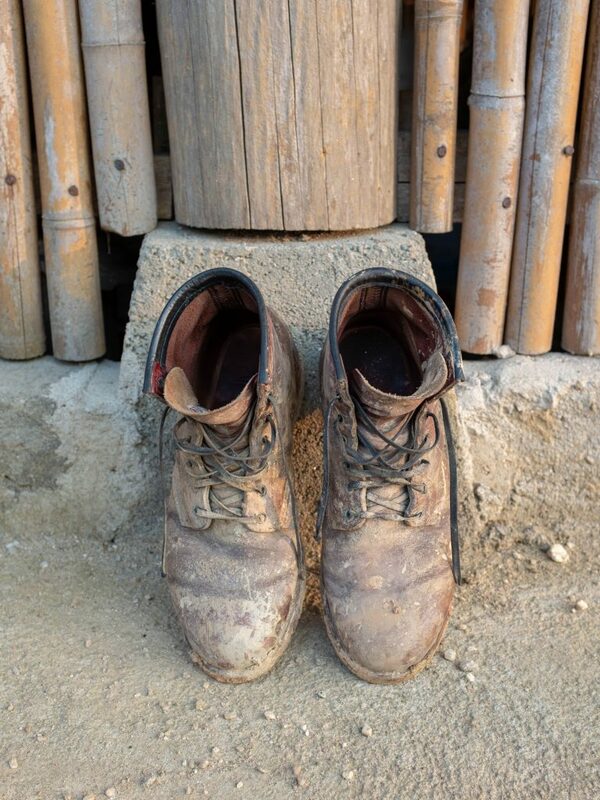 Brush off the mud at the end of the days riding and wear the same trousers every day. We are so fortunate to live with clean air and drinkable water. A large part of the world does not. Vietnamese people are friendly. All along the roads, children waved at us throughout our journey. 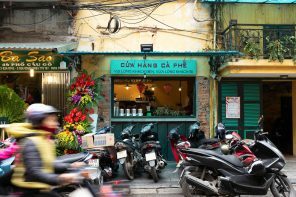 Vietnamese women are the economic powerhouse of Vietnam. Summed up by the proprietor of one of the homestays; she cooked for us, drank with the guests and was awake at 5 am to prepare breakfast before going to work in the rice fields. Impressive. Listen carefully as opportunity knocks softly. A focus on work has made me successful and wealthy, although I am not enjoying my life. Work is not that important. I need a lot less than I thought to be happy. Learn to enjoy the journey and worry less about the destination. The family is the most important thing in life. Give your kids all the opportunities, experiences and adventures you can. Work is not the be all and end all of life. 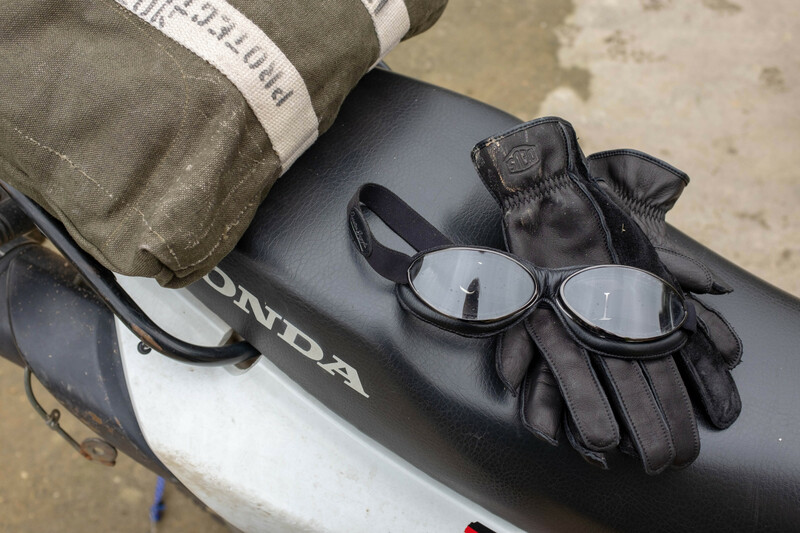 Gear: on the six-day ride, we were limited to a small bag strapped to the motorcycle seat. Packing carefully, this is what I took. Deus x Barbour waxed cotton jacket, Deus unlined leather gloves, Patagonia fleece vest, The Real McCoy’s denim shirt, Macpac merino wool long sleeve base layer for day and Uniqlo T-shirt for night, bandana, Barton Perreira sunglasses and goggles, Icebreaker underwear for day and Patagonia underwear for night, Best Made wool socks for day and linen socks for night, Saint Unbreakable jeans, Patagonia shorts, Trophy engineers cap, RedWing Beckman boots, Rugged216 canvas helmet bag (on bike), FujiFilm X100T camera, iPhone, chargers, wetpack (including medical kit and non-DEET insect repellent), Bell & Ross watch, inflatable pillow (not used) and Sea-to-Summit dry sack.